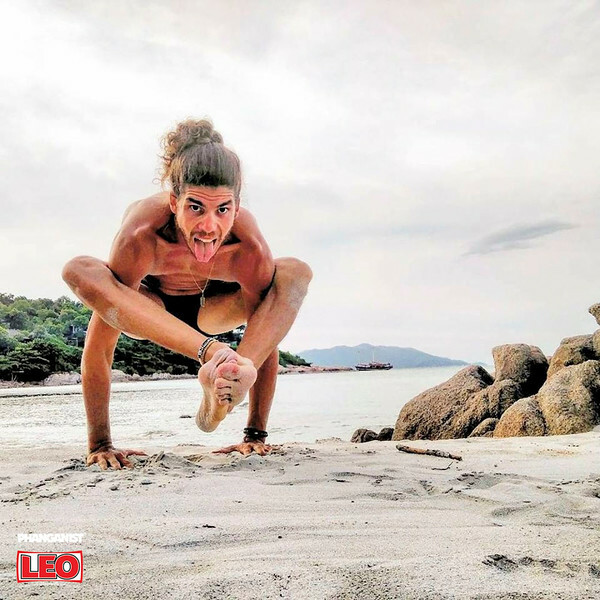 Let us introduce Idan, born and raised in Israel, you may recognise his friendly face from his amusing yoga videos shared amongst the community during his stay here. Until January 2017 Idan worked as a stock trader, sitting in an office in front of 5 computer screens but felt that life had so much more to offer him than sitting all day chasing money. “One night I decided ‘NO MORE!’ I needed a change...I’m gonna be an online yoga teacher”. 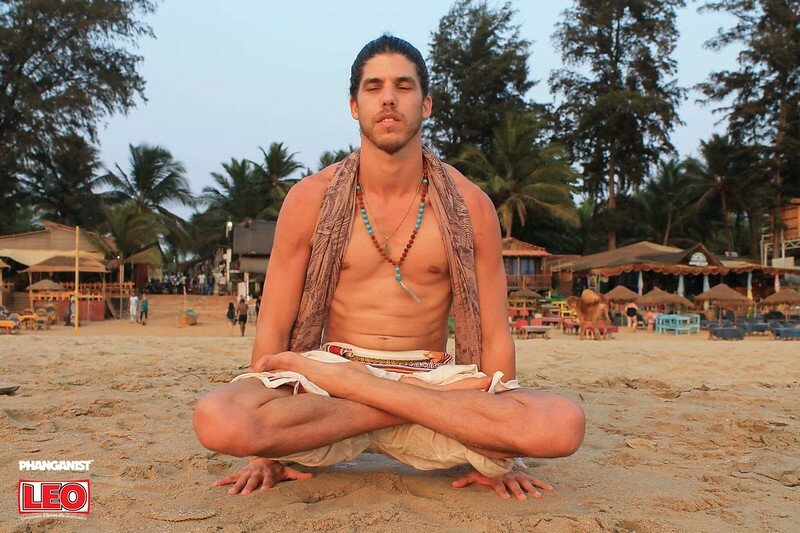 The very next morning Idan closed his trading account, found a yoga school in Patnem beach, Goa, and booked a flight for March 2017! 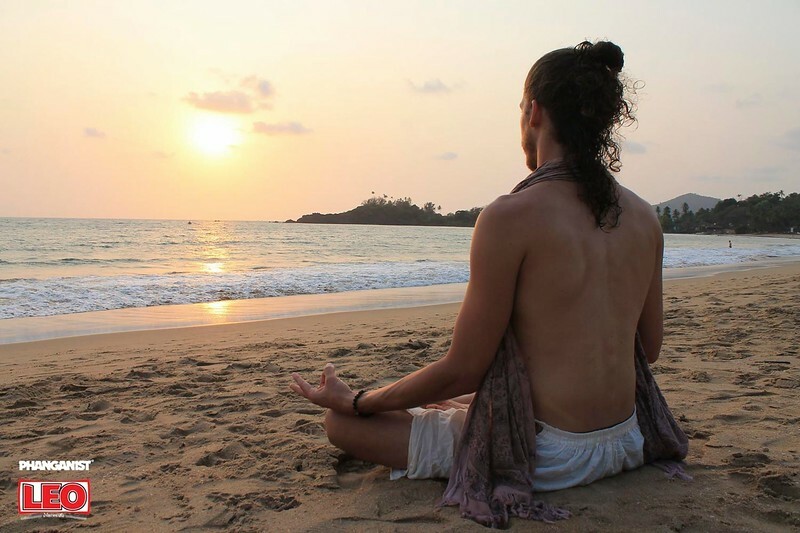 “It sound weirds, I know, I guess my previous trip to India in October 2016 had affected me in some way, especially all the happy beautiful yoginis we met on the beach in Goa”. Yoga was not new to him, he has practiced on and off since 2007 and felt amazing after every practice. Me and my other half, Nataliya, decided to leave our ‘normal’ life behind and booked a one way ticket to Koh Samui. We lived there for a month growing our online business. I created my yoga videos and Nataliya worked on her media company. 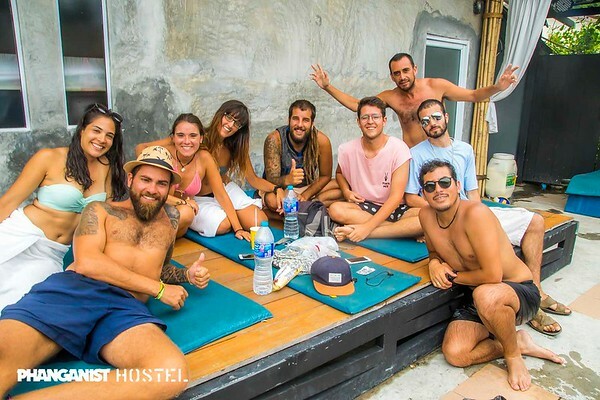 We looked for a place for digital nomads and found ‘Beach Hub’ on Koh phangan. In July 2017 we arrived to this beautiful island and lived there for 4 months. 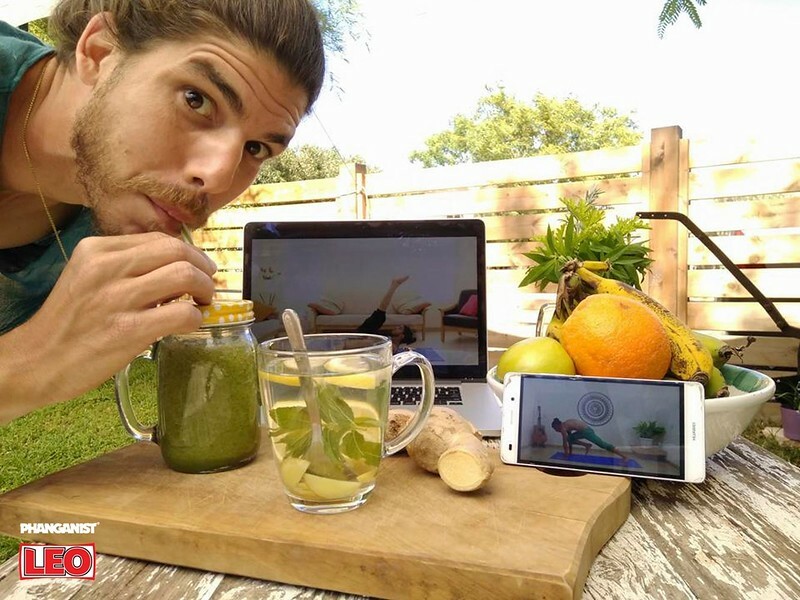 We discovered you from your very amusing yoga videos, what is the idea behind them? The yoga world is SO serious! Most people that I have met and don’t practice yoga think yoga is just sitting in meditation or think you should be an ultra-spiritual person for this practice. Plus, nowadays all the social world (Instagram, facebook, etc.) is full with photos and videos of super strong and flexible yogis in crazy yoga poses. So, even people who do practice, especially beginners, get discouraged by this image of modern yoga . My goal is to show people that yoga is for everyone, yoga can be fun, easy, yoga can be practiced everywhere! Even if it’s only for 10 minutes a day. When did you begin your practice? I first started yoga in the local gym in 2007. I saw there were 2 different yoga classes on the schedule. I tried...and I loved it! One was a Kundalini class and the other was power yoga, I loved them both! Later on I discovered Ashtanga and right away I knew this the practice for me! It’s physically hard, you sweat a lot, it’s the same thing every time and I felt so good for days after the practice. As we’ve said, most yoga videos are kinda serious, do you purposely try to make yours more amiable? On my YTT the final exam was to teach a 1 hour Ashtanga Vinyasa flow to my peers and drop-ins. I added some humor to the flow like making ‘moooo’ and ‘meow’ sounds in cat-cow pose, created the flying eagle pose (take off on eagle pose) where everybody in the class spread their arms to the sides, pretending to fly like eagles and making some eagle noises and more... I got very good feedback from my peers and drop-ins from this class and I guess this really set the tone for the rest. My approach to life is to take it easy, not too seriously, enjoy as much as possible and to make people smile. It just came out this way from my first videos and just got crazier and funnier from video to video. Aside from the humour you are very good, what advice would you give to people? Just practice, keep practicing and do the best you can! Practice even for 10 minutes a day, do only sun salutation if you don’t have time or energy for more. At first it will probably be hard due to lack of flexibility/strength, the poses won’t look like you see on Instagram, but keep reminding yourself how good you’ll feel after the practice! How did you like your practice on Phangan, why do you think here is a good place for it? On Phangan my practice improved A LOT! Physically and spiritually. There is definitely something special about this island, especially the Srithanu area, my Chakras opened there! I never had a chance to visit one of the many yoga schools in the island (I just love my self-practice) but, it’s definitely heaven to every yoga lover with the widest variety of classes I ever saw! Next time I come back I’ll want to try out kundalini, Hatha and some Tantra workshops. What did you learn here? I learnt the meaning of mindfulness on this island. To take it slow, enjoy each moment and action we make. I also learnt just to be myself and really let go of every barrier that I had before. During your stay here what else did you do? I focused on creating my short funny videos, worked on shooting a few online yoga courses and just enjoyed the island vibe for a while. You have made the move to Chiang Mai, how are you finding it? It’s definitely something different from the laid back life we had on Phangan. I’ve found a beautiful quiet place to practice my yoga and shoot my videos right next to a lake in Chiang Mai University. It’s nice to have everything you need right next to you, the Thai people here are SO nice and it’s fun to have some cool weather. And what are your future plans? We have left our ‘normal’ life in order to travel and work around the world. We will stay in the North part of Thailand till March, to see Pai, Chiang Rai and will visit Koh Phangan again in March and move on in our journey...right now, we’re planning our road trip in America. I live by Santosha, this Niyama asks us to cultivate a life full of wonder, curiosity, and a deep love for everything that is. Just smile, make others smile too, try new things, explore, get lost…nothing bad will happen! If you want to join Idan on his crazy beautiful yoga journey around the world just visit his website. The Best Beach on Koh Phangan?